When you choose to move forward with JJS we assign you a dedicated Account Manager. In fact, they will have already been working closely on your account helping to prepare your initial quotes. We feel strongly that a level of consistency should remain throughout the sales process which is why we provide you with a single point of contact. With over 20 Account Managers across our UK and Czech Republic sites, our team has a wealth of knowledge across a range of industry sectors. Led by a Commercial Team Manager, each Account Manager typically looks after between 1 and 4 customers each and in addition to the day-to-day management of your account and the delivery of impeccable customer service, we expect our team to understand the meticulous detail of your products and organisation, to the same level that you do. 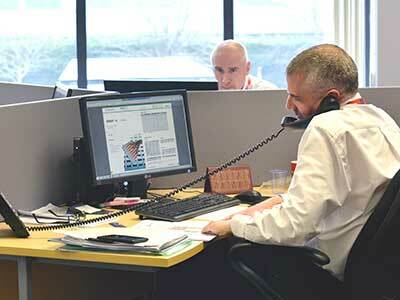 We believe that close collaboration is critical to any successful outsourcing initiative. As well as conducting regular business reviews, you will receive bespoke customer service reports from us, to ensure your original outsourcing objectives are being met and any critical issues, such as the progress of a new product launch, are addressed and communicated in a timely manner. The JJS Integrated Management System unites all of our business processes onto a single information platform across all sites: from design to invoicing and BoMs to balance sheets, the system covers every aspect of our business and supports our team with dynamic, real-time information. 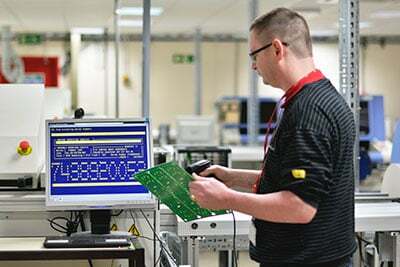 Your Account Manager therefore has visibility over the entire electronics manufacturing process - from receipt of your initial enquiry through to preparing your quotations; processing your orders, securing material, production planning and control, scheduling, inventory management and final product delivery. Need an urgent update on one of the builds going through our UK or Czech Republic site? Not a problem; at the touch of a button your Account Manager can access the relevant works order and provide you with details on existing stock levels, work in progress, estimated shipment dates and even the name of the operator working on your product. For you, this means the highest levels of traceability and operational control when you need it.